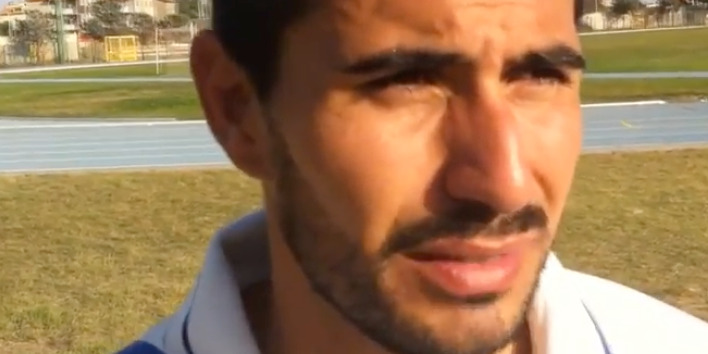 YouTube/Diario SportivoFormer soccer player Davide Capello, pictured speaking to media in 2012, survived the Genoa bridge collapse. Davide Capello, a former soccer player who is now a firefighter, says he was on the Morandi Bridge in Genoa, Italy, when it collapsed Tuesday morning. His car was one of at least 33 vehicles that fell from the bridge, but he says he survived after his car got stuck to a pillar. Rescue missions are still underway to reach people trapped beneath the rubble from the collapse. Officials in the Liguria region told the Associated Press on Tuesday night that 26 people had died, saying two more bodies had been found and one of the 16 injured had died in surgery. 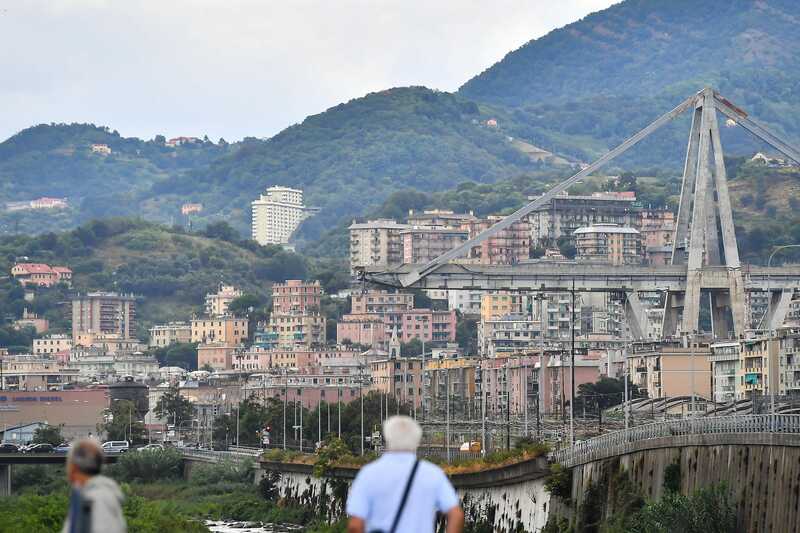 A 33-year-old former professional soccer player says he miraculously survived Tuesday’s bridge collapse in Genoa, Italy, after his car fell 100 feet and got stuck to a pillar before plunging off the edge of the structure. Davide Capello, a former goalkeeper who is now a firefighter, was driving across the Morandi Bridge when a 260-foot section collapsed during a violent storm Tuesday morning. His car was one of at least 33 vehicles that fell from the bridge – and somehow he walked out alive. “I was driving along the bridge, when at a certain point I saw the road in front of me collapse, and I went down with the car,” Capello, who last played professional soccer in 2013, told the Italian TV channel Sky TG24. He told Repubblica that he felt “helpless” inside the vehicle as it fell about 100 feet (30 meters). Capello managed to free himself from the vehicle and climbed through the rubble to reach waiting emergency workers. And amazingly, Capello managed to escape the collapse without suffering any major injuries. Rescue missions are still underway to reach people trapped beneath rubble from the collapse. Officials in the Liguria region told the Associated Press on Tuesday night that 26 people had died, saying two more bodies had been found and one of the 16 injured had died in surgery. Reuters, citing local reports, is saying the death toll has reached as high as 35. The collapsed Morandi bridge was a section of the A10 motorway, near the city center. The collapse took place as torrential rain fell in the region at 11:30 a.m. local time on Tuesday. The section of the bridge that collapsed was about 80 meters (262 feet) long and 50 meters (164 feet) above the ground, and crossed over railway tracks and some buildings, according to Reuters.